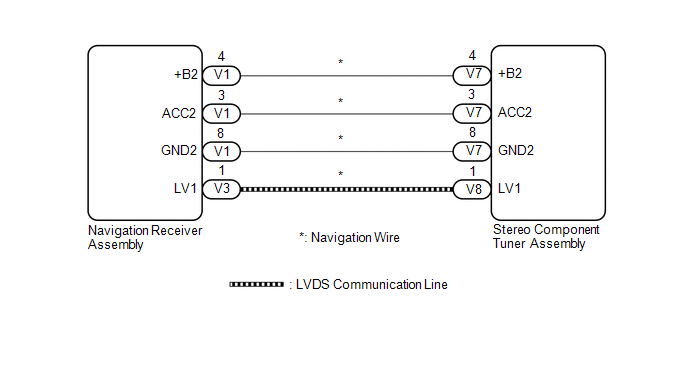 The stereo component tuner assembly and the navigation receiver assembly are connected by the LVDS communication line. This DTC is stored when an LVDS communication error occurs between the stereo component tuner assembly and the navigation receiver assembly. (a) Disconnect the V7 stereo component tuner assembly connector.